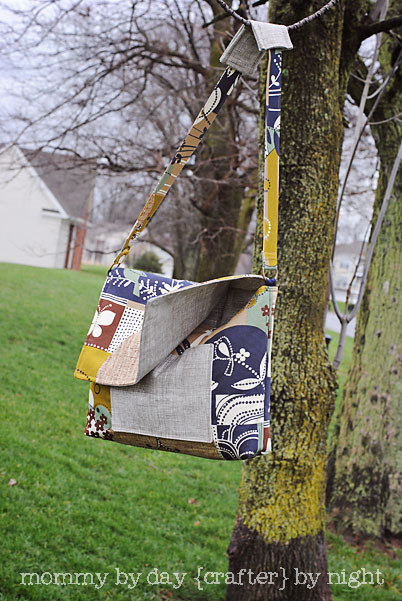 My baby sister turns 20 today... She is headed off to college in a couple months so I decided to make her a messenger bag to carry her books and laptop in. 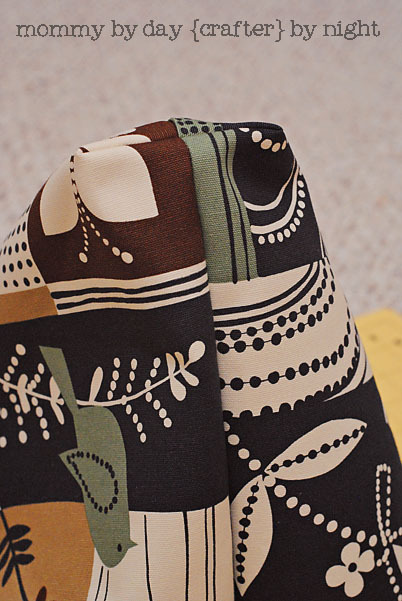 I found this fabric (Alexander Henry: Beverly Glen and Heath) and fell in love with it. 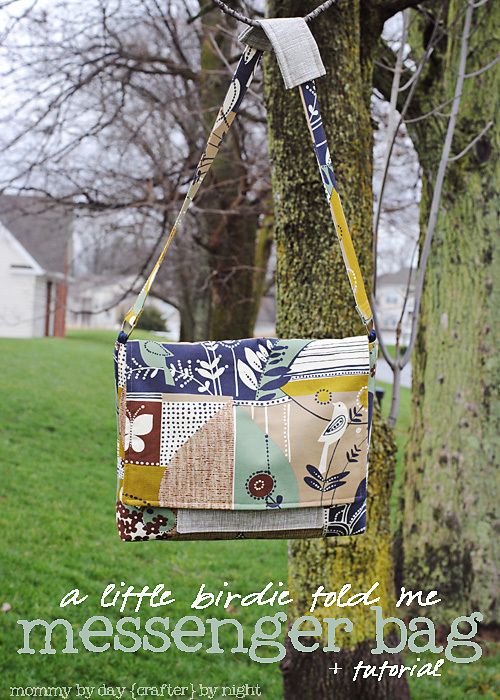 I love the birds, the colors, and love that it's different... It was the perfect fabric for my little sis. Step 1: Iron the fusible fleece to the 3 15x20 inch pieces of the main fabric. 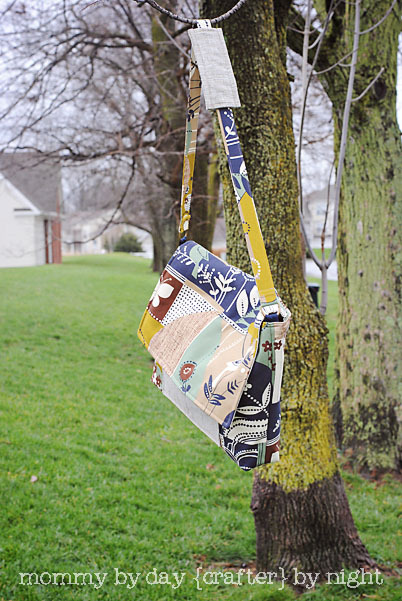 Step 2: Create the pocket on the front of the bag...Take the 2 pieces of coordinating fabric that are 7x9 inches and put them right sides together and sew all the way around but leave a gap that is big enough for you to turn the fabric right side out. 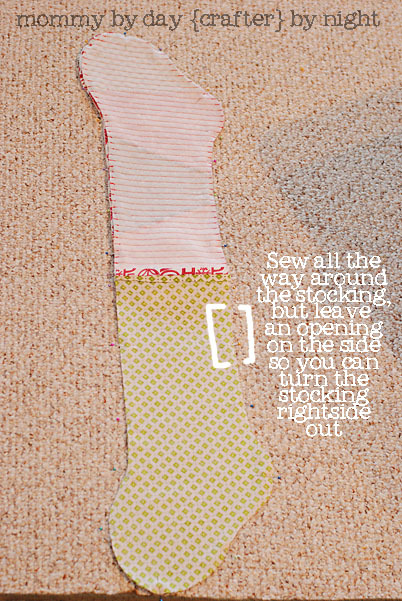 Turn it right side out and tuck the unfinished edges in and press with an iron. 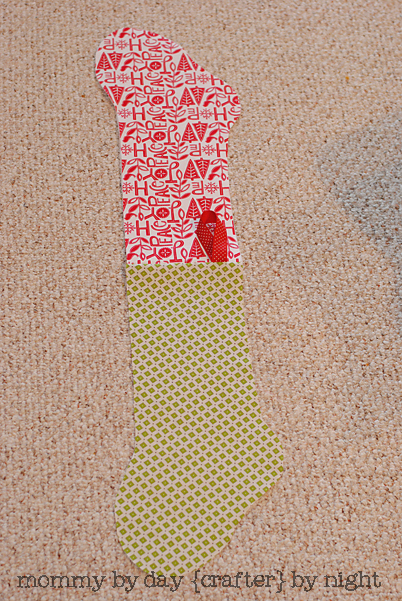 Step 3: Pin the pocket to front of one of the main pieces of fabric. Center it wherever you would like. I put mine in the center towards the bottom of the bag so that you could see it peeking out from under the flap. 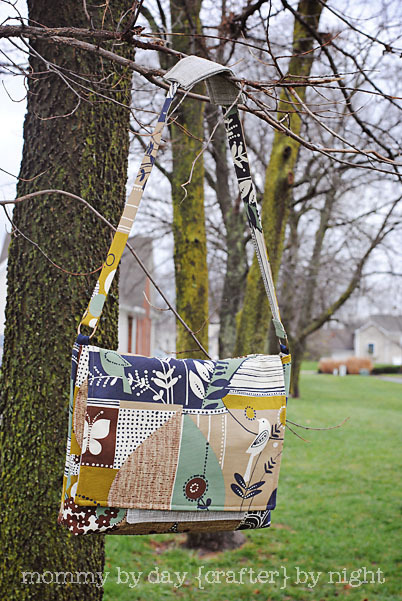 When placing, be sure to leave enough room underneath and on the sides of the pocket to allow for you to turn it into the bag. 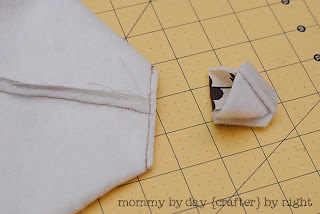 (make sure that you place the pocket so that the unfinished part is on the side or bottom so that the little place that is not sewn will get sewn shut) Once it is pinned in place, sew around the sides and bottom of the pocket. 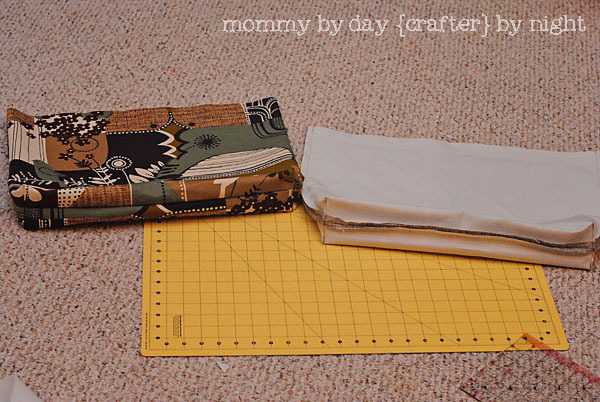 Step 4: Take 2 of the 15x20 inch pieces (main fabric), and put them right sides together. (make sure that one of them is the one that you sewed the pocket onto) Pin and sew around 3 of the edges (leaving one of the 20 inch sides unsewn). Step 5: Create box corners. If you need a good tutorial on how to do this- click here. Turn the bag right side out. The corners should look like this. 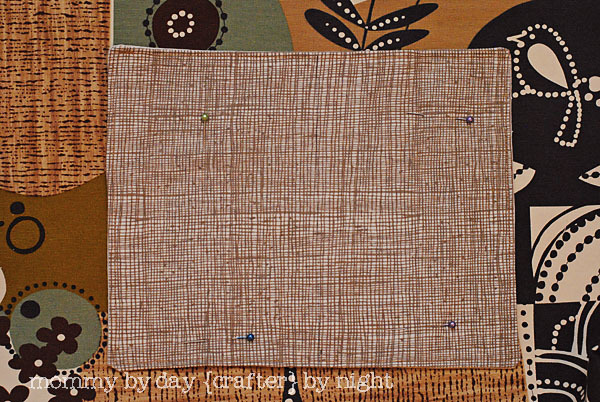 Step 6: Take 2 of the 15x20 inch pieces of the coordinating fabric and pin them right sides together and sew around 3 edges, and then create box corners as well. Once done with this step you do not need to turn the bag right side out. 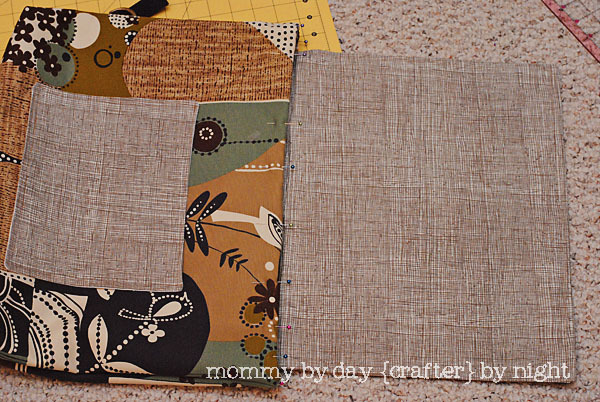 Step 7: Create the flap. 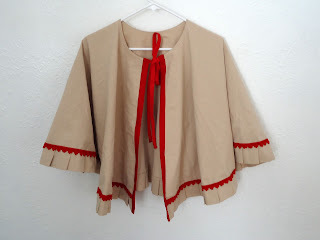 Take the remaining 15x20 inch pieces of fabric (you should have one of the main fabrics and one of the coordinating fabrics) Put them right side together and sew around 3 of the edges, leaving the top (20 inch side) unsewn. 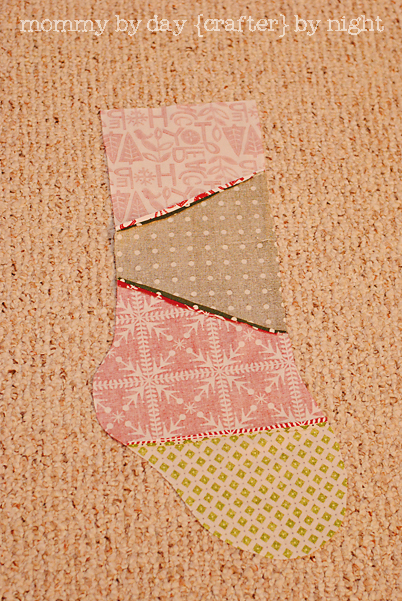 Turn right side out, press, and sew along the 3 edges to give it more of a finished look. Step 8: Create the handle. 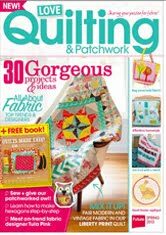 Take the 5x44 inch piece of main fabric and fold and press it in half, and then open up and fold edges into the center and press. 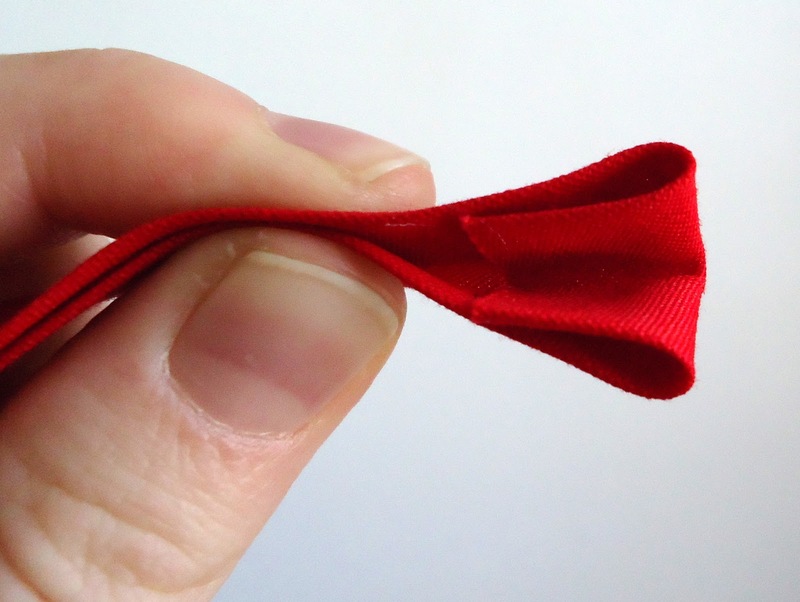 Once the edges are in the center, fold back over. 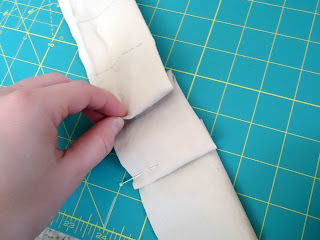 All of the raw edges should now be tucked into the inside and you should have a strap that is the thickness of 4 pieces of fabric. 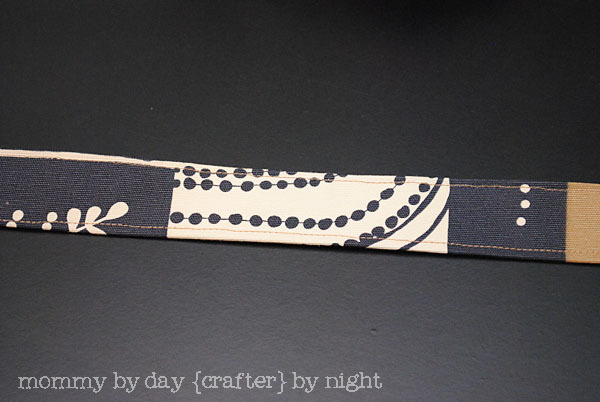 Step 9: Sew along both edges of the strap. 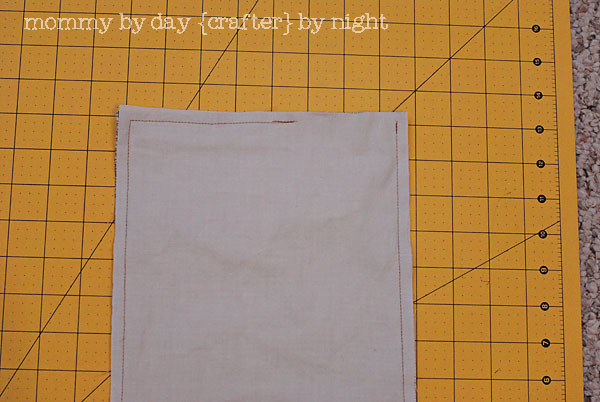 Step 10: Take the piece of coordinating fabric that is 6x11 inches and iron the fusible fleece onto it. 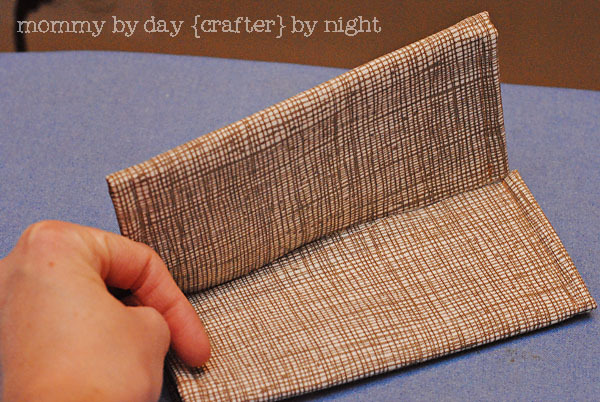 Then fold the edges in 1/4 inch on both sides that are 11 inches long and sew. 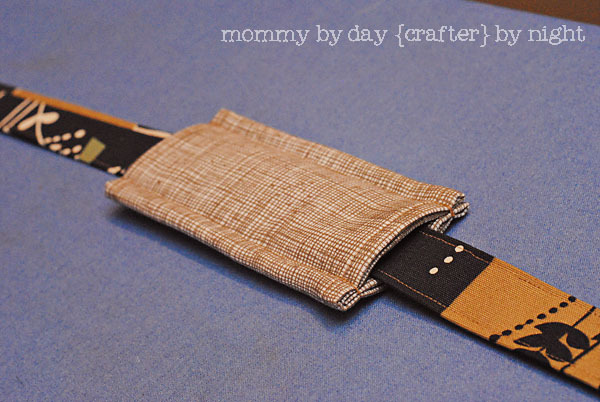 When it is finished and the strap is through it, it should look like this. Step 12: Put your liner bag into the main bag and tuck the top unfinished edges into the bag between the outside bag and liner. Pin in place all the way around except the back top edge of the bag. Slide the flap in between the liner and outside bag and pin in place evenly. Next you will need your d rings. These are the kind I used. 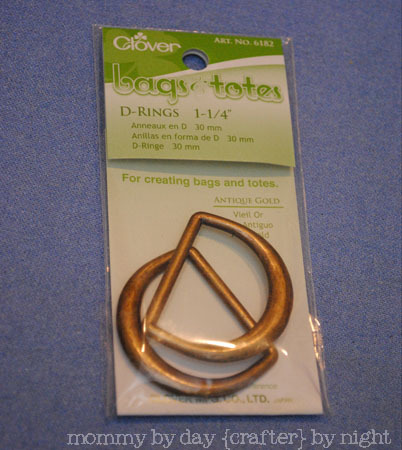 I got them at a cute little sewing shop near my house, but Joann's carries the plain silver or gold kind too. Make sure you get the 1 1/4 inch ones. 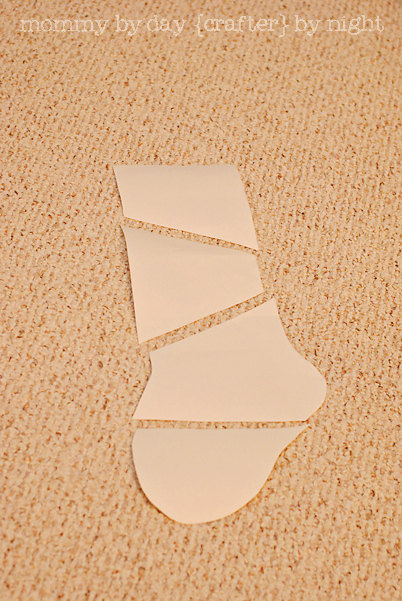 Step 13: Take your 6 inch piece of poly pro belting and cut it in half so you have two 3 inch pieces. Take each piece and slide a d ring on each one. 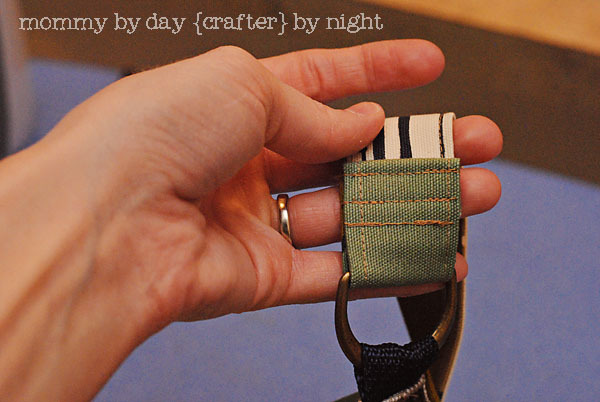 Step 14: Take your piece of belting with the d ring on it and pin one on each side of the bag. 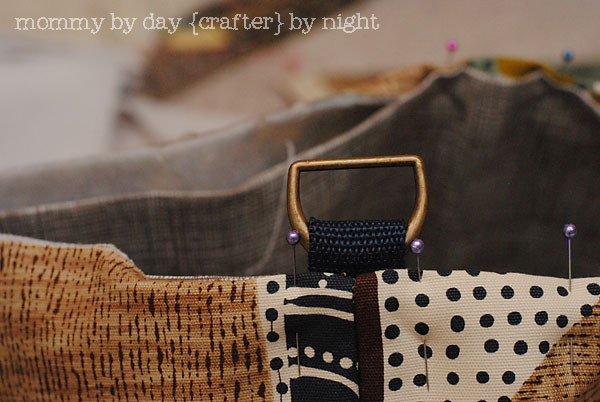 Step 15: Now it is time to sew the handle to the bag. Slide the handle into the d ring on one side and fold the unfinished edge over 1/4 inch and then up an inch or 2 and sew to the handle. I sewed 3 lines to make sure it was secure. Then repeat with the other side. Make sure that when you do the other side that the handle is not twisted at all. I hope everyone had a Merry Christmas!! For those of you that showed up last Tuesday to link up and found that there wasn't a party up and running- I am so sorry! I was out of town and out of reach of wifi and wasn't able to get it up in time, so we are scratching last week's party and starting new this week! Can't wait to see what ya'll have been up to! 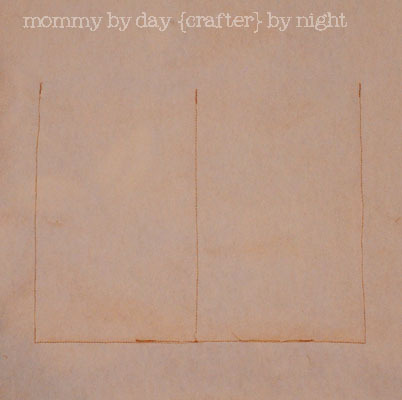 Hello, Mommy by Day, Crafter by Night readers! I am very excited to be here today. My name is Stephanie, from The Petite Sewist. 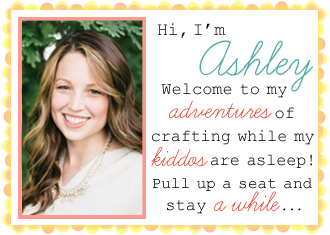 A big thank you to, Ashley, for letting me be here today. My love of sewing has grown out of the desire to wear things that fit me. 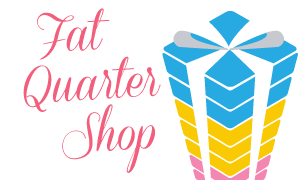 Any of you ladies who are not an off-the-rack size understand how frustrating it is to have curves, or the lack of curves, in different places. I believe that the ill-fitting garment - not the woman - is the problem. 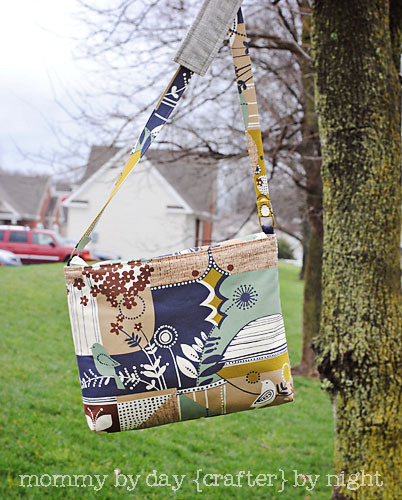 I love to blog about petite-size sewing, style, and home decor. 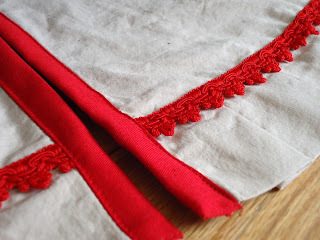 Today I am here to share with you my latest Christmas craft, a pleated tree skirt. My husband and I are newlyweds and we don't have a lot of Christmas decor. 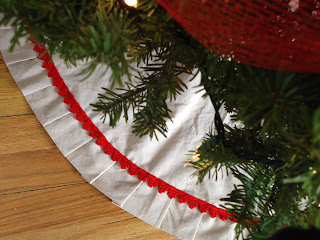 I wanted my tree skirt to be inexpensive, stylish and fun, but still give the main emphasis to the tree. This finished tree skirt radius is 23". 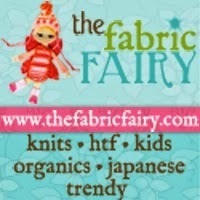 If you want your skirt to be bigger or smaller, you will need to adjust your pattern accordingly. 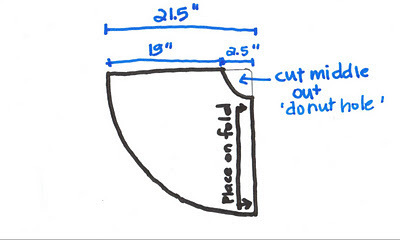 To make the tree skirt piece, take your tracing paper and draw a right angle 21.5" tall and 21.5" long. 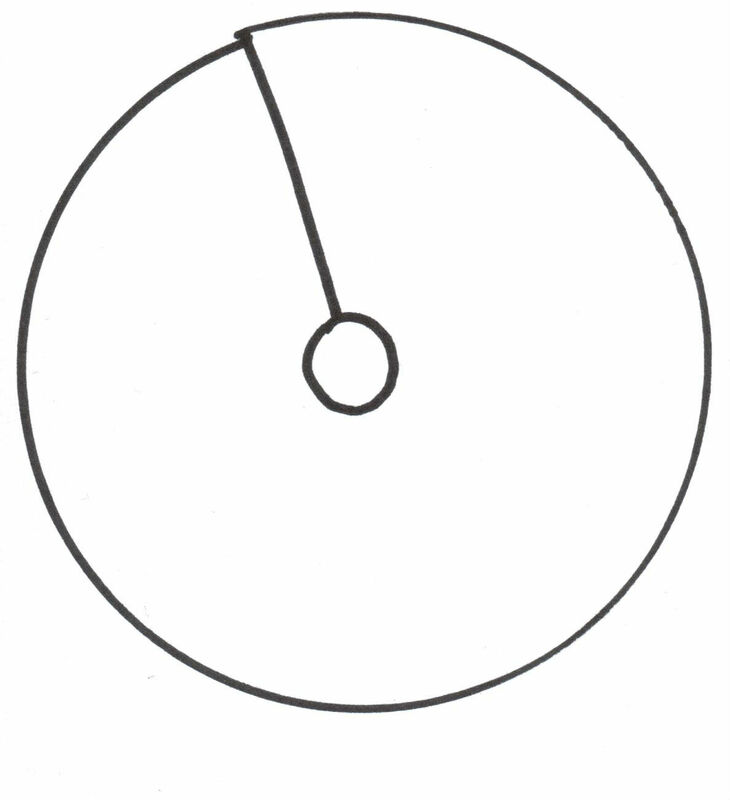 Now, connect the far edges of the two lines together with a curve. 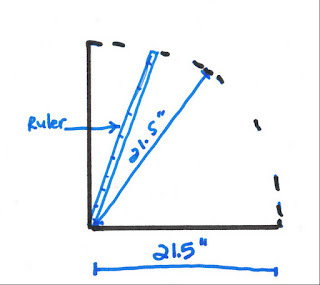 Each part of the curve needs to be 21.5" distance from the corner. 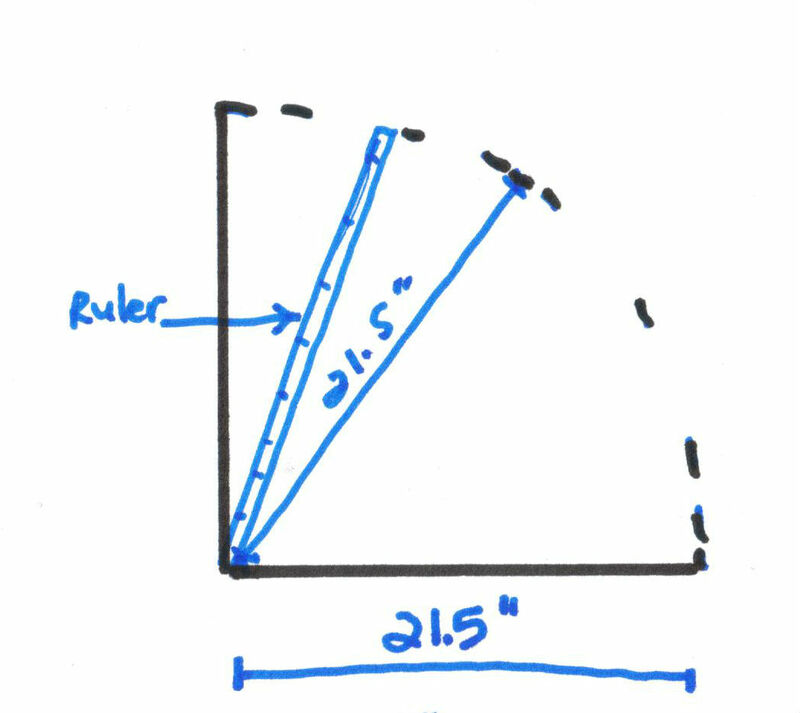 I did this by lining up my ruler at the corner at 0" and move it at different angles, marking the distance at 21.5" on the paper. Now, mark another curve, this time 2.5" away from the right angle. Cut out your pattern. Discard the 'donut hole'. Essentially, this is 1/4 of the circle tree skirt. To cut out your pattern, first lay out the muslin, folded. 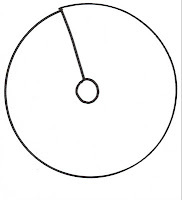 Place your pattern on the fold so the donut hole is facing the fold. 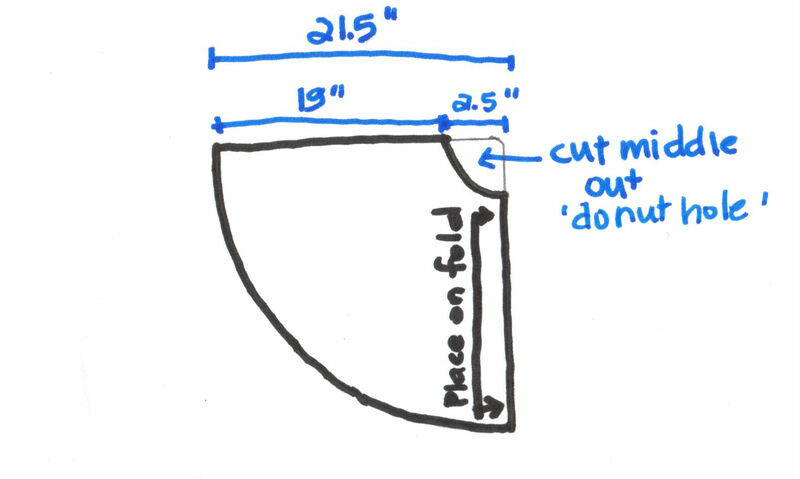 Cut out the outer and inner curved lines but DO NOT cut out the straight line that is perpendicular to the fold line. 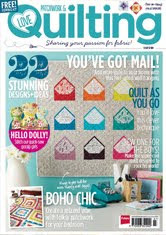 Instead, flip the pattern over like a mirror-image and cut on the curved lines again. 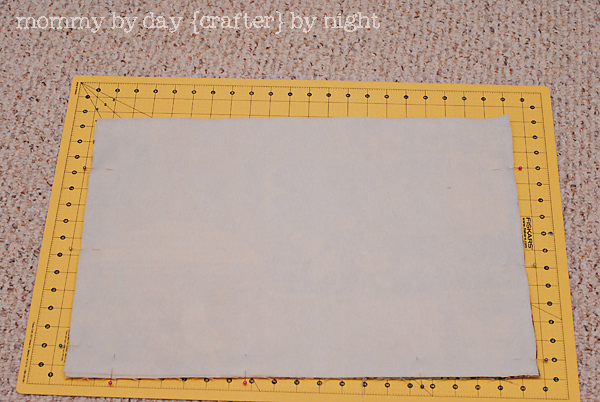 Now, holding only the top layer of fabric, cut on the straight line. 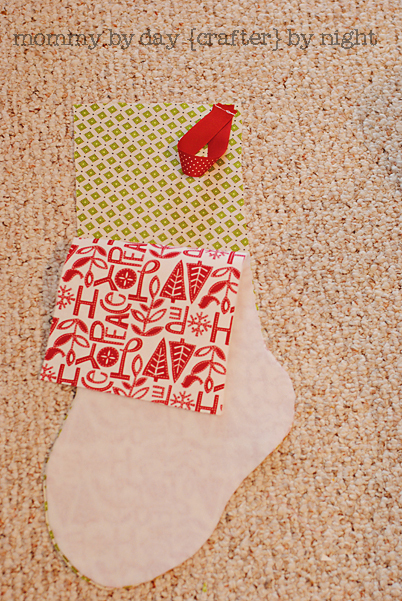 When you unfold your tree skirt, you should have an entire circle with a donut hole, and a slit on one side. Cut a second tree skirt piece the same way. 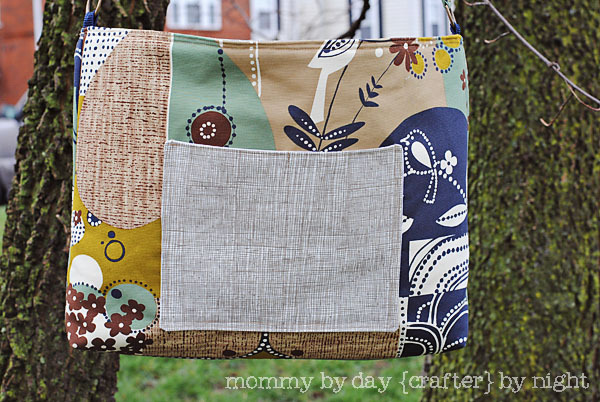 Next, cut out your fabric strips. 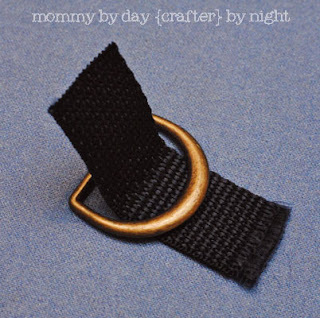 They will become your pleats. 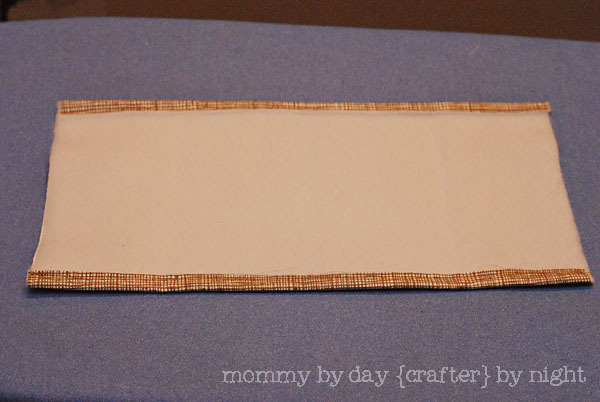 Place the muslin on the cutting mat and cut strips 5" tall from selvage to selvage (on the crosswise grain). 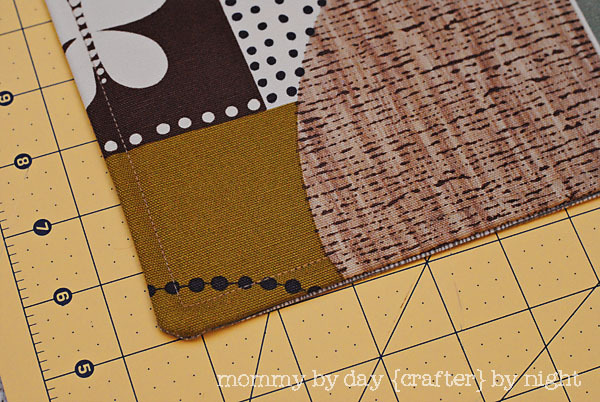 You will need 6 and 1/2 strips for 42" wide fabric. 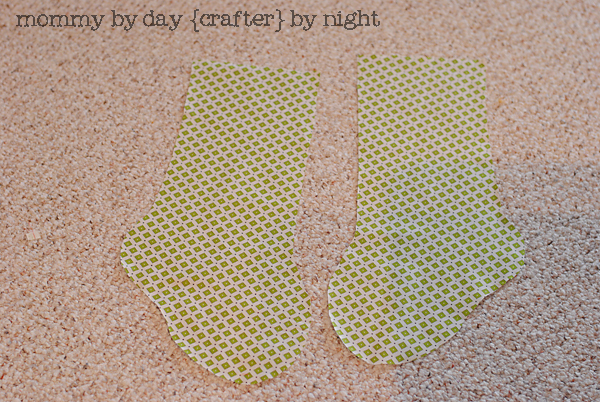 Sew the strips, right sides together, into a long chain and press open with iron. Fold the strip in half, lengthwise, with wrong sides together. Press. Mark every 2" along the folded strip. 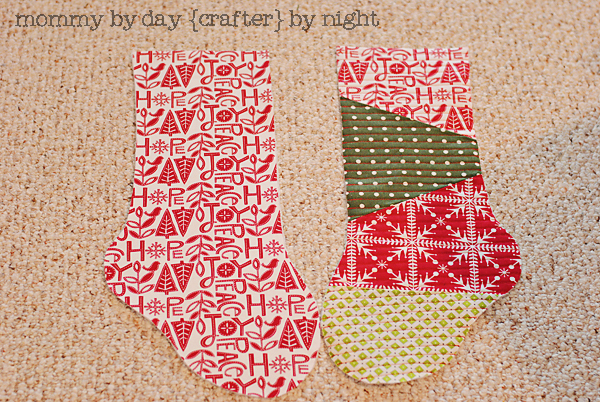 Pinch the fabric at the second line from the right and match it up with the first line. Pin. Continue down the line to the end. Iron the pleats in place. Baste the pleat strip together 3/8" inch from raw edge. 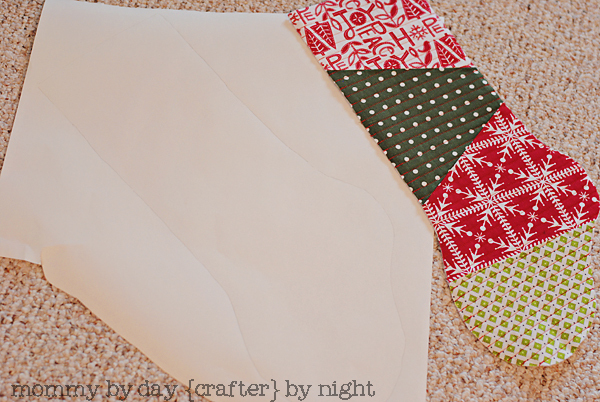 Pin your tree skirt pieces right sides together at the inner circle. 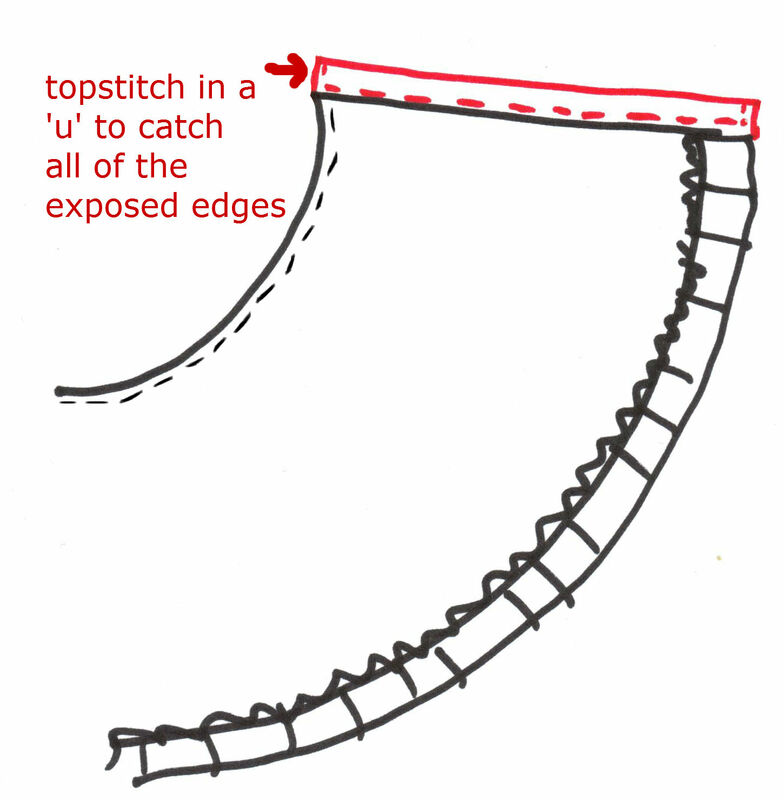 Stitch 1/2" from edge, then clip up to seam allowance around the curve. Place your pleats between the outer curved edge of the two layers of the tree skirt (which are still right sides together) so that all of the raw edges match up. As you can see, the pleats are pointing inward. Stitch all the way around the edge 1/2" from the edge. Turn your tree skirt right sides out and iron the inner curve flat. Topstitch the inner curve 1/8" from the edge. 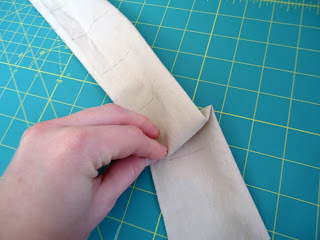 At the outer curve, pull the pleats away from the seam as you iron. 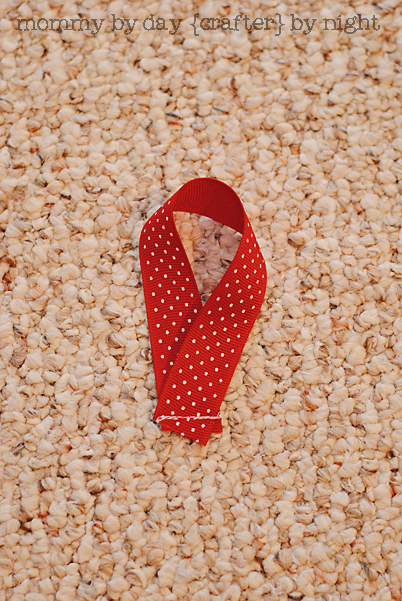 Using your rotary cutter, cut 2- 2"x20" strips of red fabric. I used red twill, leftover from a skirt project. 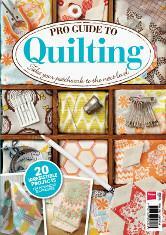 Using the iron, press the strips in half, lengthwise. 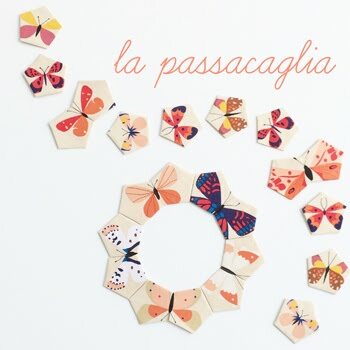 Open them up and fold the edges in 3/8". This is your binding. 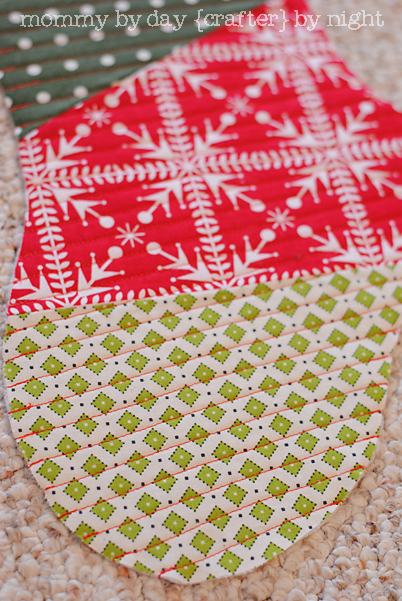 Fit your binding to each of the tree skirt slit edges. 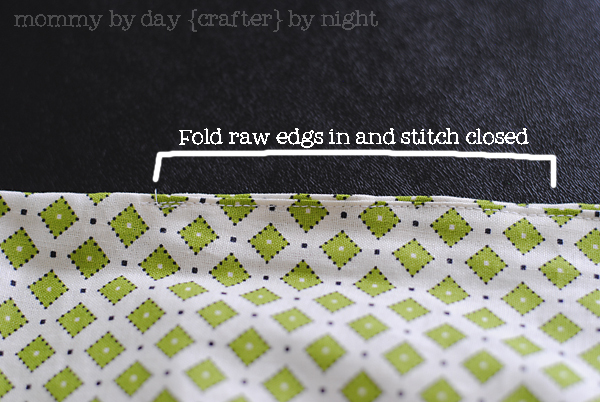 Make sure you fold the edges of the binding in at each edge. Sew in a 'U', as shown below, to finish all the edges of the binding. Cut your red bias tape in half. 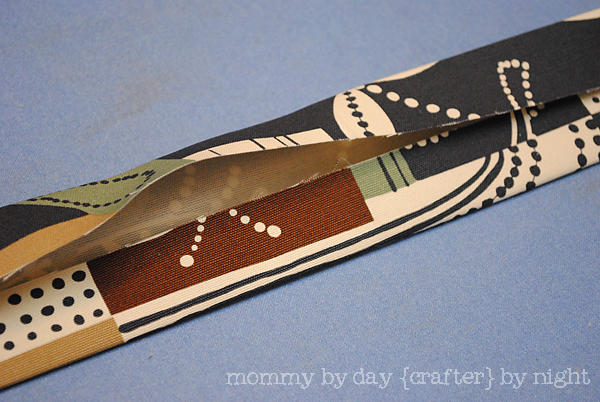 Fold one edge of each piece inside, about 1/2". Stitch near the folded edge, then turn the corner and stitch all the way down to the end. 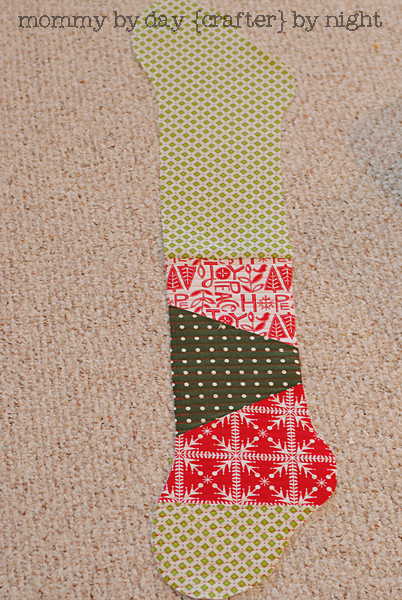 Secure the unfinished end to the top of the tree skirt opening: place the unfinished bias tape edge to the top of the bottom side of the tree skirt and sew a square on top. 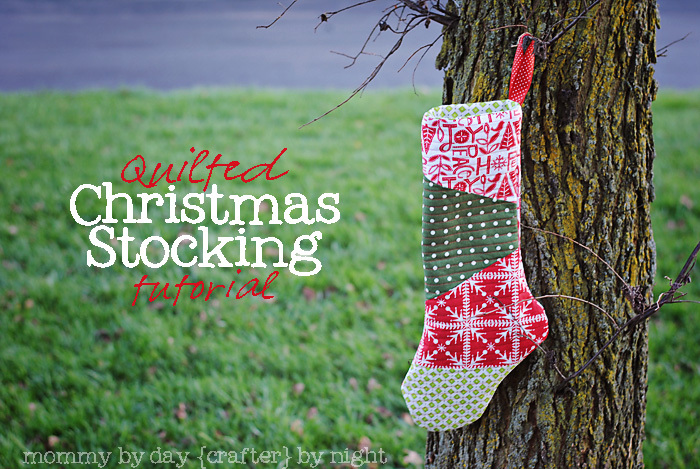 Place your finished tree skirt around the tree and secure with ties at the base. Stand back and admire your hard work! 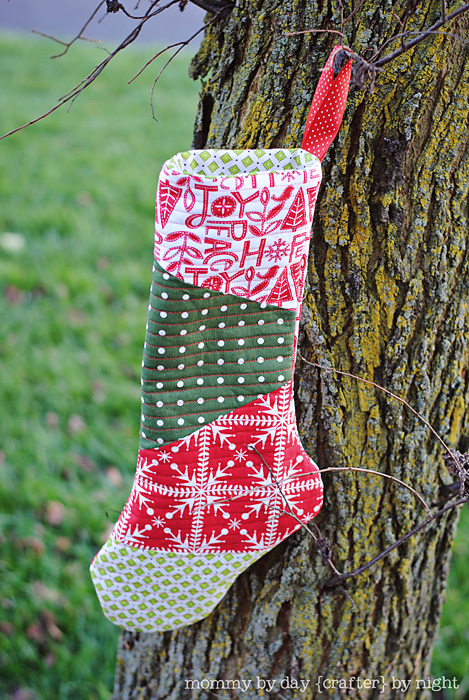 I would love it if you stopped by The Petite Sewist to say 'hello' and let me know if you make your own version of my tree skirt.